The first question on most investors’ lips usually is “Eh bro, what Singapore stocks to buy ah?” To be fair, Heartland Boy also asks his friends, fellow investors, financial bloggers and analysts the same question. However, the only reason he does so is to generate ideas and Singapore stocks to look out for on the Singapore Stock Exchange (‘SGX’). He never buys stocks simply based on friends or analysts’ buy recommendations. (Confession: Heartland Boy used to do that in the past but now he only trusts his own analysis.) After generating ideas through these conversations, Heartland Boy would then put these ideas through a rigorous and systematic test to ascertain if this is truly a good stock to buy now. So, what exactly is this “rigorous and systematic test”? 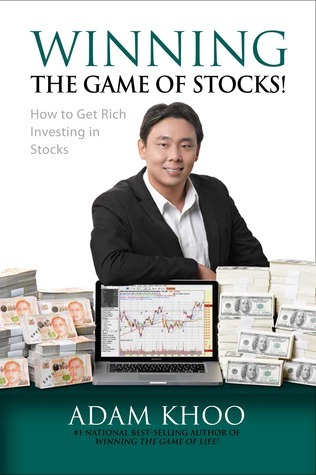 Heartland Boy’s journey in stock investment first began when Heartland Girl bought him a book titled “Winning the Game of Stocks” by Adam Khoo. Till today, Heartland Boy likes to think there was no hidden agenda from Heartland Girl’s gift. Given that Adam Khoo has an enviable track record in stock investment, Heartland Boy thought it will be a good idea to buy Singapore Stocks based on a proven winning strategy. That is, and still is, the most important piece of advice that Heartland Boy would share with all young investors starting out. Adam Khoo preaches Value Momentum, which is basically a mix of Fundamental Analysis (‘FA’) and Technical Analysis (‘TA’) that addresses 3 common tenets of investment. In answering what Singapore Stocks to buy in 2017, Heartland Boy puts on his FA cap and outlines 6 criteria that any Singapore Stock must pass before he decides to buy them. The list goes on and the debate never ceases. The point Heartland Boy is trying to make is that it is a very unpredictable event. 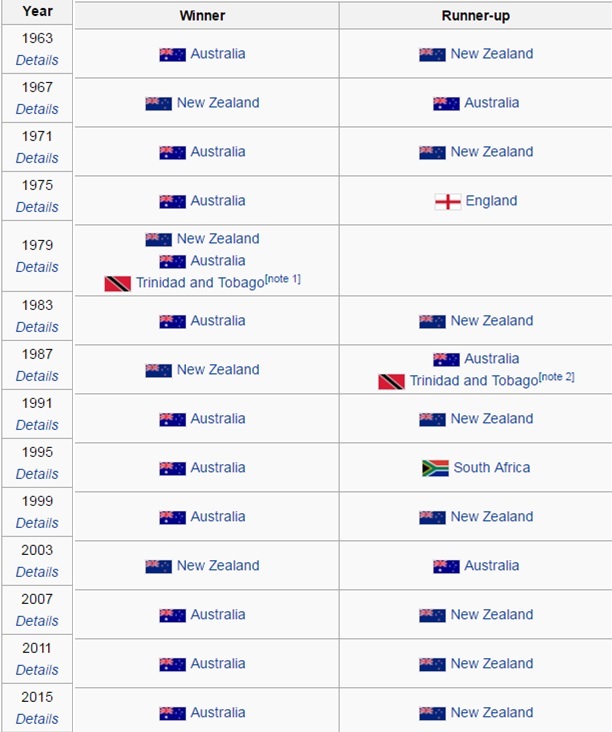 However, if you ask someone to predict who is going to be the next Netball World Champion and then proceed to show them this chart, you are probably going to get only 2 answers. While debt is not necessarily a bad thing, excessive leverage exposes a company to huge risks, particularly during cyclical downturns. (Case in point: Swiber) The rule of thumb is that net long-term debt should be less than 3 times of annual profits. With this criteria in place, you would have never purchased Swiber and end up worrying whether you will ever see your money again! Heartland Boy uses Return On Equity as a profitability measure to gauge how well the company is performing over time. He sets a 12% ROE hurdle rate for all the stocks that he buys. A high and consistent ROE indicates that the company may have a sustainable competitive advantage, and that it will use shareholder’s money to grow at a high compounding rate. For established companies, Heartland Boy uses the historical 10 year growth rate at which Earning Per Share (‘EPS’) has grown. For new companies, Heartland Boy uses the industry growth rate. To first find out the right discount rate to apply, Heartland Boy extracts the stock’s beta from Reuters. 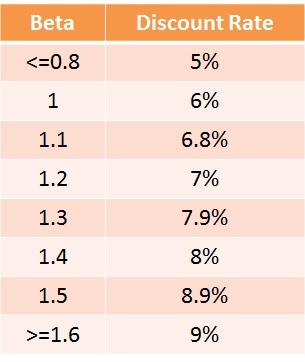 From the company’s beta, you can apply the following discount rates via a simple table compiled for non-financial students. One of the perks of having a sustainable competitive advantage is that these companies find that they are able to increase prices without losing a proportionate share of customers. Heartland Boy’s investment track record has been reasonably satisfying so far. By using Adam Khoo’s FA analysis, he has been able to beat the market’s returns for 2 out of 3 years. This technique also serves as a good filter to sieve out the best stocks to watch in 2017. This applies to blue-chip stocks, dividend stocks and penny stocks. Note that there is a separate article adopting similar metrics for selecting the best REITs in Singapore to buy. However, Heartland Boy must admit that putting stocks through such a rigorous test is a very tiring exercise. Well, there is really no free lunch in this world. Moreover, psychological pitfalls such as confirmation bias and effort justification make it even harder. It takes discipline to and even greater discipline to walk away if the stock fails the test. Perhaps, you can attribute this to occupational hazard. But, if you work so hard to earn your wages, surely you want to be even more careful to ensure that the money set aside for investment stands a very good chance of generating positive returns. You want to buy only the best stocks listed on the Singapore Stock Exchange. As Heartland Boy’s employer puts it succinctly- you may have to kiss a thousand frogs before one turns into a prince. Is the Adam Khoo book useful? Does the time invested in reading it translate into useful knowledge to apply?